Presidential Scholars receive a full-time, 12 credit per semester tuition waiver for two years of undergraduate study. All scholars receive $4,000 a year (stipend) and a one-time travel grant of $2,000. Presidential Scholarships are awarded to approximately 8 bona fide Hawai‘i resident college juniors who have a minimum cumulative GPA of 3.7 for all college level work, a record of sustained progress in academic courses, and evidence of superior academic achievement or creative endeavor. Students meeting the following requirements are eligible to apply. 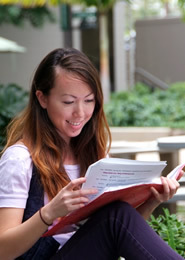 Apply for admissions as a classified full-time junior to UH Mānoa. Must be a junior by the end of the Spring semester. Spring credits may be counted toward credits earned. Spring grades will be reviewed once the semester has ended. Evidence of superior academic achievement or creative endeavor. UH System Common Scholarship Application & UHM NWS section must be completed by January 15, 2019. Official Non-UH System College Transcript(s) (if any). Official college transcript(s) are required only for any/all non-University of Hawaii System colleges previously or currently attending. Transcripts for any University of Hawaii system schools will not be needed.